We just found Ngata Bush Lodge in the web. It's in the Denokeng Reserve. Has anyone been there. Any feedback? Was there last year for a quick one night weekend stay. They were still busy finishing the ablutions but is a nice small campsite. Only about 5 or 6 sites with swimming pool and boma as well. Not much in the line of shade but they put up a shade net for you. All sites next to the fence. The restaurant has some of the best spare ribs and we have been back a couple of times for that. Thanks for this suggestion, Paul. Have booked for next weekend. How many is a brazillian? Somabula near Cullinan is very good. Only 6 campsites, no electricity and very quiet. Can walk, cycle and horseride amongst the game. Plenty birdlife as well. Het iemand al by Koedoesrus gekamp? Hoe is die ablusies en die plek oor die algemeen? Nee maar lyk lekker, gee asb terugvoer. We were fortunate to be the only couple camping. Campsites are next to each other if that is your cup of tea, I would have not enjoyed it if there were neighbours. But ideal for groups. Ablutions are not maintained, mens shower U/S, not in winter please. I could fortunately use the ladies. The outside shower was fun in the mornings when it had warmed up. Hospitality fantastic, smoked spare ribs very good at the Restaurant. Would I rush back? Not likely. We were there this weekend, what an awesome find. Only accessible with a 4x4. No electricity, but they do have hot showers, and flush toilets. Each site has pvt ablutions. Will definately be visiting again. Does anyone have info on Donkerpoort Dam close to Nylstroom? Went too Doorndraai lodge / camp this past week-end. Awesome place, great camp and facilities. Will definitely go again and take the MTB along! Here's a list of local campsites I've been to thus far (and that I can recommend obviously). I'll probably add more details later as well (maybe a grading system of sorts like discussed earlier). The one that hasn't been mentioned here yet is Kyleu inside Dinokeng, an absolute gem; no fences, big stands that are far apart and private ablutions at each stand. They also have 2 stands next to the river with no facilities. Hi guys. I went to kyleu bush camp this past weekend. Nice and friendly people. Clean ablution. Nice campsite. Cheap. No birds, no game in and around camp from thursday to sunday. Busy road 100meters from camp. High mast lights from nearby community visible. Hi Kobus, Which stand were you on? 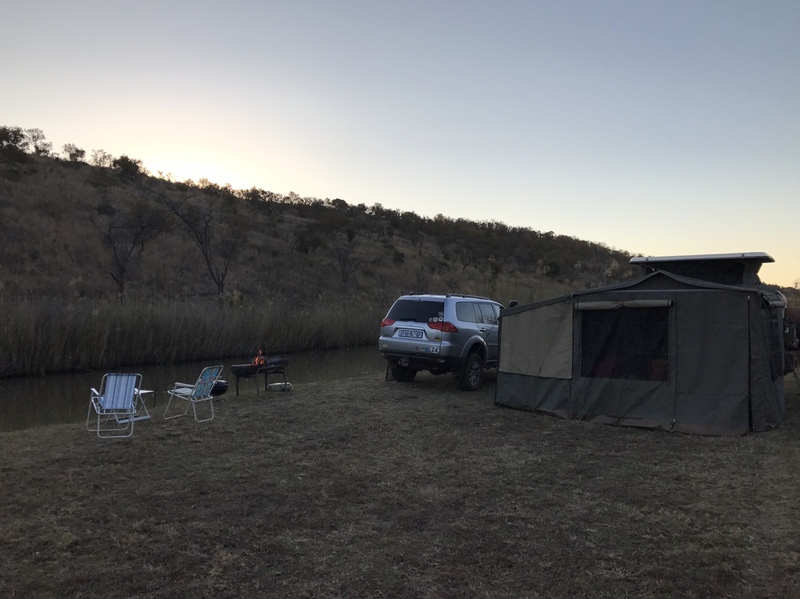 Anyone been to Warthogs Bush Camp? What is it like? Safe?